While this sounds like an intense game of real-life baseball, it is actually the experience anyone can have using the GamePad controller in Wii Sports Club, which arrives in stores on July 25. The Wii U game includes updated and reimagined versions of Tennis, Bowling, Golf, Baseball and Boxing from the original Wii Sports game for Wii, with each sport using Wii MotionPlus technology and new GamePad features for enhanced control. The implementation of the Wii U GamePad controller brings some surprising and fun features to Wii Sports Club. In Baseball, for example, the pitcher aims a fastball, curveball, screwball or splitter by simply moving the GamePad around in real space and pressing a button to throw. If the ball gets hit in the air, players use the GamePad to follow and catch the fly ball – just like they would with a baseball glove. In Golf, players place the GamePad on the floor to see the ball they are about to hit on the screen of the GamePad. It will appear on the same surface shown in the game – on the fairway, in a sand trap or in the rough. After players swing their Wii Remote Plus controllers like a real golf club, the ball will “fly” from the GamePad screen to the main TV screen and toward the virtual pin. The added GamePad features elicit the same “You have to try this!” reactions generated after playing t he original Wii Sports game. In a new online multiplayer mode, gamers from the same region who own the game and have a broadband Internet connection can play Wii Sports Club together. Players also can join a club to represent their regions and build online communities with fellow club members by sending tips, pep talks and other messages via Miiverse. 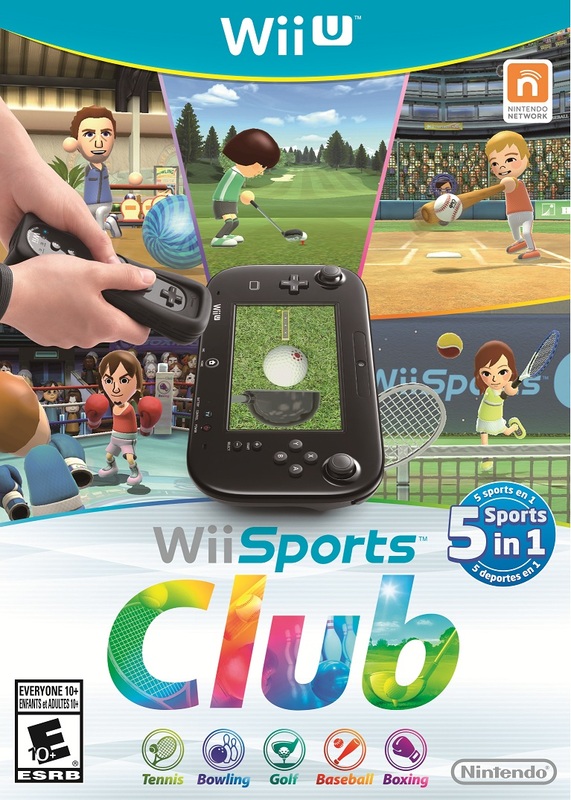 The retail version of Wii Sports Club launches in stores on July 25 at a suggested retail price of $44.99. The digital versions of all five sports are now available and can be purchased in the Nintendo eShop on Wii U. A 48-hour free trial of all five sports is also available in the Nintendo eShop on Wii U until Dec. 31. This entry was posted on Thursday, July 24th, 2014 at 7:47 am and is filed under Everyone 10+, National News, New Releases, Sports. You can follow any responses to this entry through the RSS 2.0 feed. You can leave a response, or trackback from your own site.